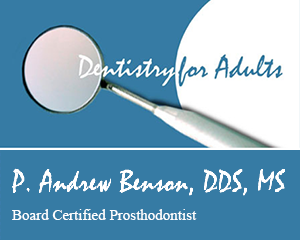 Dr. Benson and the dental technician work closely together to create not just a ‘cap for your tooth’ but a precise replica to aesthetically match the finest details of your teeth. Since color is the most difficult aspect to communicate, we are recommending the dental technician to see you in person to optimize our desire for an excellent result. Directions: From Dallas N Tollway, exit Parker Road and travel East. Pass Independence Road. Turn Right into the parking lot after passing the bank. The office is located in the two-story red brick professional buildings.